Achariya Vikaram has a vast experience of 10 years in the field of Jyotisham. After completing his graduation in Jyotisham and Vastu, He has successfully completed his masters degree from Maharaj Acharya Sanskrit University Jaipur, Rajasthan. 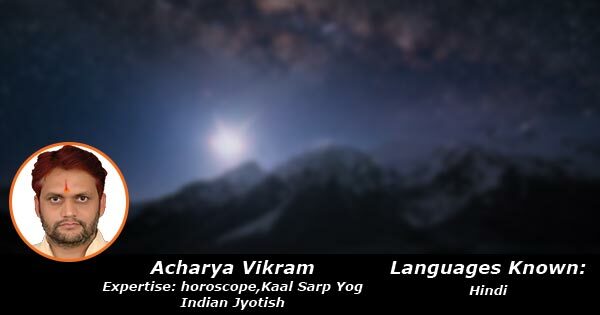 His inborn talent for jyotisisham has urged him to learn more authentically on Indian Astrology. He is specialized in horoscope reading, Diseases and kaal sarp Yog and Indian Jyotish.